As long as you don’t block the air flow and you make sure the AC unit is accessible, covering that ugly box is just fine! 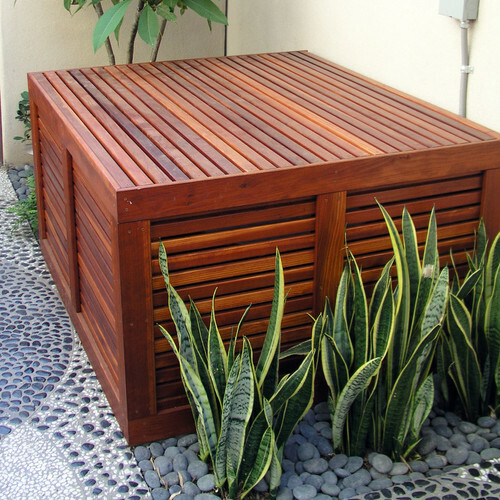 Build a fence or box around your AC unit, incorporating plants and flowers between the slats. You can also install flower boxes for a taller ac unit fence. Check out these 21 air conditioner maintenance and home cooling tips. Hide your AC beneath a beautiful structure of clear redwood. Just make sure you construct the outdoor AC cover so the top cover pops off so you can have easy access to the units. Is your AC super loud? Check out these tips for fixing noisy air conditioners. Make your outdoor AC cover do double duty as it also provide storage space your outdoor tools. A mini shed is perfect for covering up your AC unit and hiding miscellaneous outdoor items. Just make sure the tools don’t get in the way of ventilation for the outdoor AC unit. Is your AC malfunctioning? Here’s how to repair your AC yourself. 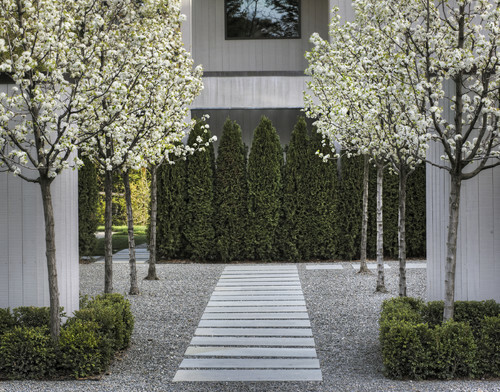 Line the side of your house with beautiful tall shrubs to not only hide your ugly outdoor AC unit, but also create more privacy for your outdoor space. Here’s why you should be cleaning air conditioners in the spring. This is the perfect way to use your outdoor AC unit cover for more than just that! Let your fence serve as a perch for birds to eat and chill, lining up birdhouses to create an attractive outdoor space. Here’s how to cover your AC unit with plywood to protect it when winter rolls around. An old shutter screen is the perfect repurposed fence for hiding your AC unit. Paint an old screen a vibrant color, and wrap it around the outdoor AC unit. Check out these air-conditioning mistakes you can avoid. Surround your outdoor AC unit with a beautiful iron trellis. Let vines grow up it to create a backyard nature scene. Want to install AC in the garage ? Here’s how. Group various things you don’t want to see together. 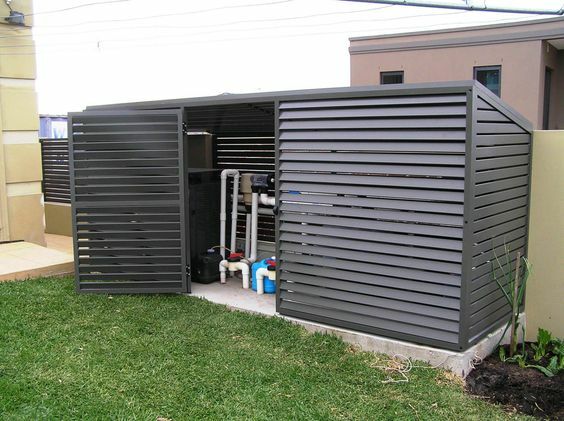 You can build a full-height equipment shed, capable of housing your outdoor AC unit, pool stuff and garden tools. Here’s how to build a shed on the cheap. Not really a DIYer? Simply purchase a pretty outdoor privacy screen and let vines grow up it for an AC unit screen! If you do want a DIY project, here’s how to build a patio privacy screen.